Ben Affleck has no trouble admitting that he counted cards while playing blackjack in a Las Vegas casino. "That is true," he told the October issue of Details magazine. "I took some time to learn the game and became a decent blackjack player. And once I became decent, the casinos asked me not to play blackjack." 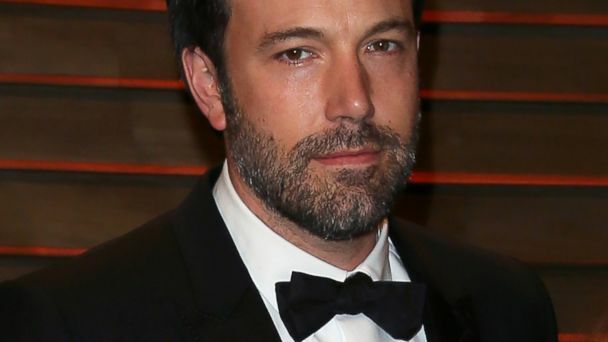 Affleck, 42, is referring to the April incident at the Hard Rock Hotel and Casino in Las Vegas, in which he was banned from playing the game. "I mean the fact that being good at the game is against the rules at a casino should tell you something about a casino," he told Details. "There's a lot of hospitality, backslapping, when they think you're gonna come in and dump money, and if they think you might leave with some money, it's like, 'You know what? Why don't you try craps or roulette?" Though counting cards is not illegal, casinos frown upon it. The father of three said blackjack was the only game he played. "I don't bet on football games, and I don't gamble at all, really, outside of that," Affleck told the magazine. "But I knew with blackjack that there's a way you can improve your odds. And so I started trying to learn. And then I just got to a point in my life where I'm like, 'If I'm going to do something, I'm going to try and do it really well.'" He also made it clear that he didn't have some sort of compulsive gambling problem. "I get to correct the impression that there's something wrong with it or that it demonstrates some, like, compulsive activity," he said. While the Hard Rock did not throw him out of the casino, contrary to some reports, Affleck did say he's no longer allowed to play blackjack there or in some other casinos. "I will say this: There were a number of casinos that said, 'Hey, you can't play blackjack here. We know you count cards. But, you know, you're welcome to come, do whatever you want, see a show, have dinner. We'll comp ya. Play roulette, we know you don't play craps, but hang out, we still want your presence and business.'" For the casino's part, it would only say, "Mr. Affleck, a valued guest of Hard Rock Hotel & Casino, is not banned from our property and is welcome back any time," according to a statement. Affleck also called reports that his wife, Jennifer Garner, was upset about his so-called gambling habit "tabloid s***. They completely lie." But as lies go, he's not bothered about the ones around his playing blackjack. "Usually they say, like, 'He's homeless!' He's good at blackjack! Well, I'll take that," he told Details.